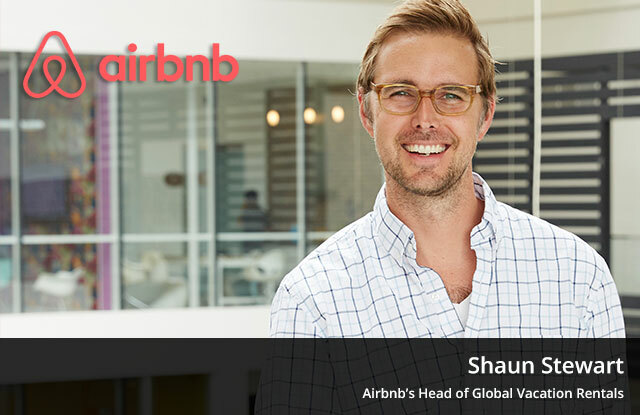 Airbnb’s Shaun Stewart to Keynote Partner Conference! Airbnb’s Global Head of Vacation Rentals joins exciting conference lineup! LiveRez is excited to announce that Shaun Stewart, Airbnb's Head of Global Vacation Rentals, has been added as the second keynote speaker for the 2015 LiveRez Partner Conference, Oct. 19-23 in Sun Valley, ID. Stewart oversees the strategy and execution of the vacation rental giant’s operations in key markets around the world. The 36-year-old Cornell grad is a rising star in the hospitality industry. His resume includes senior roles at major travel industry players such as Expedia, TripAdvisor, Travelscape and Jetsetter. Stewart rounds out an exciting lineup of presenters that also includes decorated Navy SEAL and New York Times best-selling author Marcus Luttrell. For more information on the 2015 LiveRez Partner Conference, visit Conference.LiveRez.com.